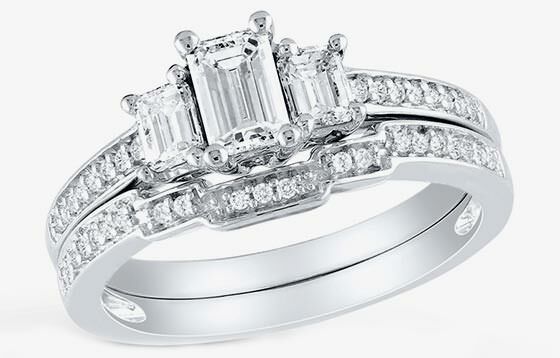 Setting aside the solitaire and picking diamonds to enhance your engagement ring is easier than you might think. Engagement rings with side stones often have three major stones: a large center diamond and a smaller diamond to the left and to the right. They also may have smaller accent stones on the band. Typically all stones in three-stone diamond rings are either round, oval, square (also called princess-cut or a variety of other names), rectangular (also called emerald-cut), marquise or pear shaped. But there is an array of other shapes, like heart and triangle (also called trillion or trilliant), also available. The mix of major stone shape and the accent stones can create a variety of looks. Triangular side stones look perfectly at home nesting beside a square or rectangular diamond, with the three-stone combination then forming a new shape. 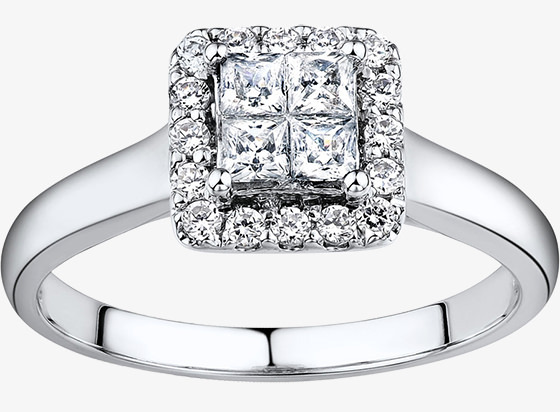 Up to this point, we’ve been talking about side stones that are only slightly smaller than the main stone and that are set into prongs above the band. Another option is smaller stones set into the band itself. Popular options include small, round diamonds that trail down the band, one or two square diamonds on each side of the main stone, baguettes that sit just below the main stone and almost look like rays of light shooting out from it, a sweep of metal that partially encircles the bigger stones and is set with small accent diamonds or diamond-encrusted scrolls that form the band and create the look of antique or vintage engagement rings. 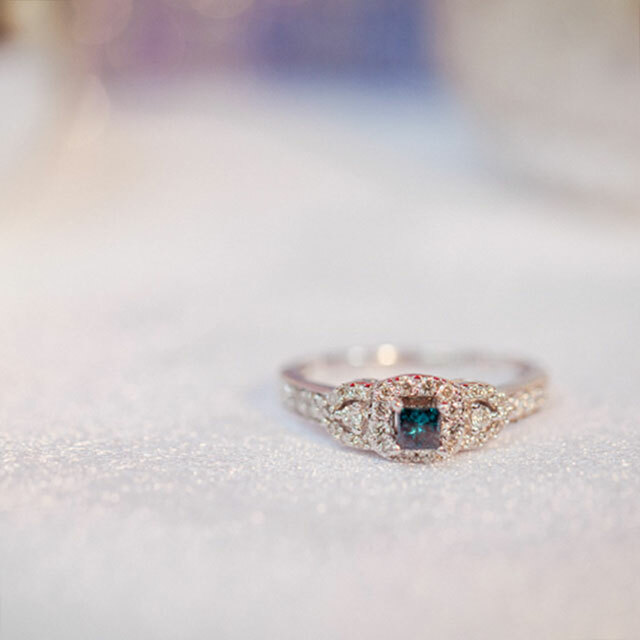 If the bride-to-be has a favorite color or loves color gemstones and wants an engagement ring that is different, color side stones may be a good way to personalize her engagement ring and make it stand out. One popular engagement ring style, for example, is a large white oval diamond between two smaller oval sapphires. In addition to color gemstones, consider fancy color diamonds for side stones. 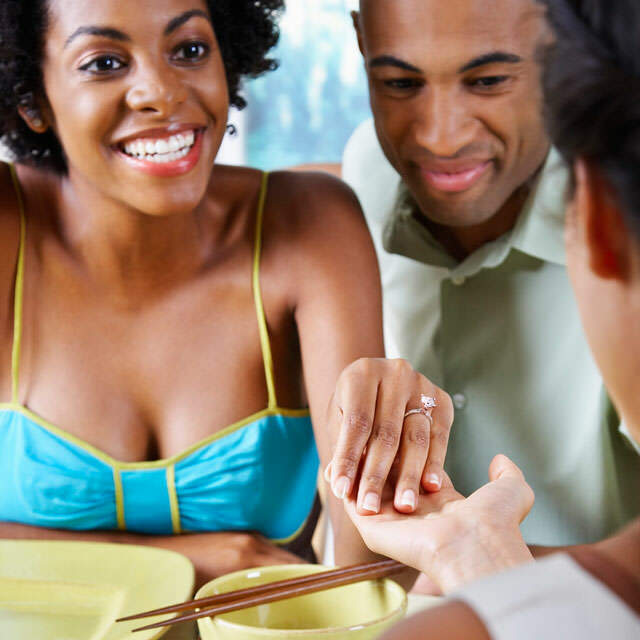 Before taking the non-traditional route of a colorful engagement ring, however, bring up the idea in casual conversation — “I noticed a ring on the train today that had a diamond with a ruby on each side” — and gauge her reaction before proceeding. You also may want to consider a “halo” setting — a ring with a main diamond completely surrounded by smaller prong-set or pavé diamonds or color gemstones. You’ll typically see single or double halos; more than that will divert attention away from, rather than to, the bigger stones. Halos work with virtually any shape of major stone. They also give the appearance of a larger stone and lend a vintage feel to a ring, yet have lasting appeal. For the creative-minded among you, some jewelers offer engagement ring design services so you can create a custom, one-of-a-kind look. 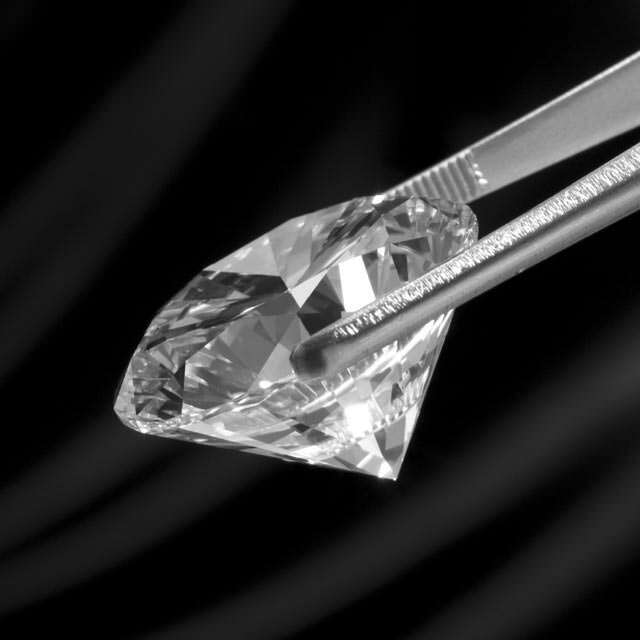 Typically, you describe and draw your setting style, including the shape, color, clarity, cut and carat weight of the center and side diamonds. From that design, a CAD drawing or wax model of the ring is created. 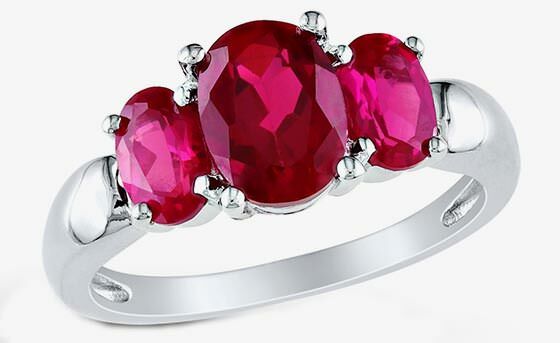 After you approve the design, your custom ring will be crafted by the jeweler according to your exact specifications. Remember to ask about the warranty and the return and exchange rules before you proceed with this option. Are you ready to buy a budget-busting diamond engagement ring? Think rare metal, many carats and big style to achieve the “wow” factor you desire.